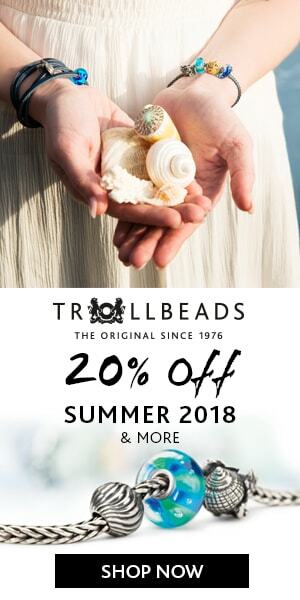 Sneak Peek: Trollbeads 2018 Vine of Dreams Starter Bracelet! 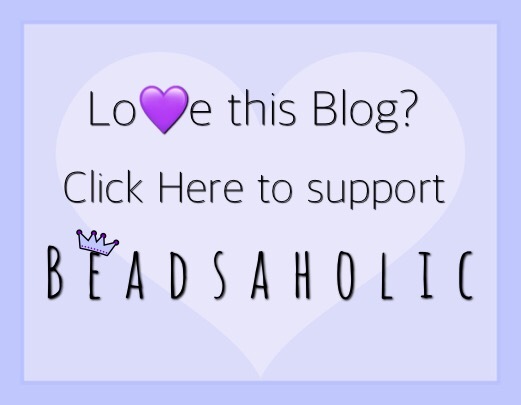 Today Beadsaholic brings a sneak peek of Trollbeads Vine of Dreams starter bracelet! Trollbeads 2018 Vine of Dreams Starter Bracelet features a beautiful purple glass bead, a stunning silver hearts and flowers bead, a beautiful heart lock all on a sterling silver foxtail bracelet. This set is limited-edition and set to retail at $109. I am rather excited about this release; my favorite color is purple, and I adore the silver bead and lock! This set with go perfectly with some of the recently released country exclusives like Trollbeads Purple Diamonds and Lilac Diamonds, as well as the Stardust Striped bead from the Enchanted Forest collection. Preorders for Vine of Dreams Starter Bracelet is set for April 13th, 2018 and is set to release on April 20th, 2018. Photographs courtesy of Trollbeads USA. Over all, I think this is such a wonderful set and I’m looking forward to its release! These will be sold in sets only and will be available at all authorized retailers. I will post preorder details on April 13th, so stay tuned! What are your thoughts on this new starter bracelet design? Will Trollbeads Vine of Dreams be on your wish list? ← Redbalifrog Big Blue debut! See the Preview here. I love this set. Going to save up for it now! Me too! I am looking forward to seeing it in person! Oh, that’s lovely! I don’t covet it for myself (just as well), but I think it will be lovely for gifting! Yes, I agree! Would make a perfect gift. I personally love it, but that could be because purple is my favorite color. Questo set sarebbe il regalo perfetto!